Since 2007, USA Swimming Foundation’s “Make a Splash” initiative has given more than 4 million children the lifesaving gift of free or low-cost swim lessons. The initiative targets a multi-cultural audience based on a 2010 study that found 70 percent of African American and 60 percent of Hispanic children are unable to swim in the United States. Through the dedication of USA Swimming Foundation’s 800-member Local Partner network, Make a Splash works to reduce childhood drowning by offering low or no-cost swim lessons across America. 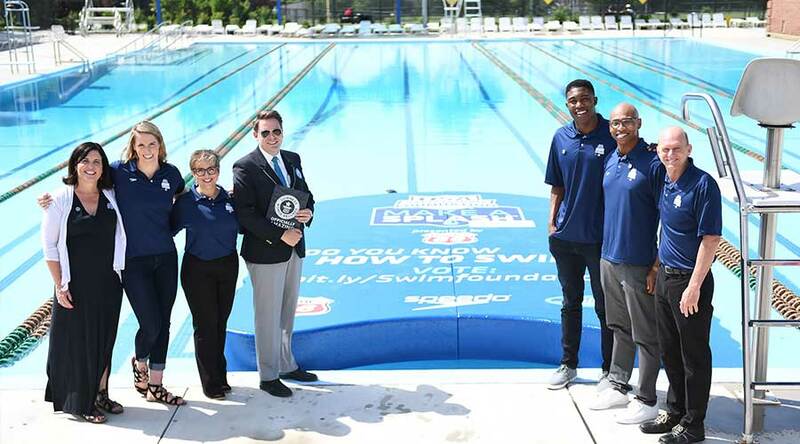 Coyne works with the foundation and their team of swim ambassadors to make a splash by securing national and local media coverage for their mission and events. To generate media around the USA Swimming Foundation’s mission and to kick-off its 2018 tour, Coyne PR helped the Foundation set the GUINNESS WORLD RECORDS® for largest kickboard, roughly 10 times the size of a normal kickboard, standing at 18-feet. In addition to the grand size, the kickboard represented an even larger message. The front of the kickboard asked the question, “Do you know how to swim?” to urge Congress to add it to the 2020 Census. The enormous kickboard was fully functional, weighing in at a whopping 400-lbs, and was still buoyant enough to float!